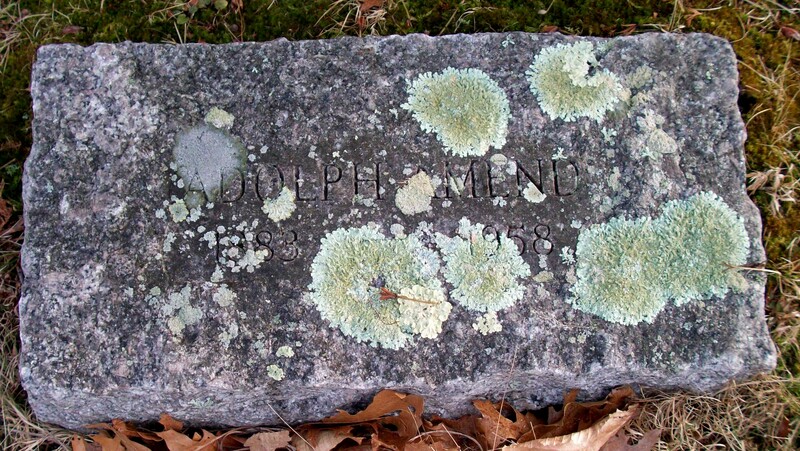 Died: April 26, 1958 in Bourne Ma. at 75 yrs, 2 mos, 8 d.
1. 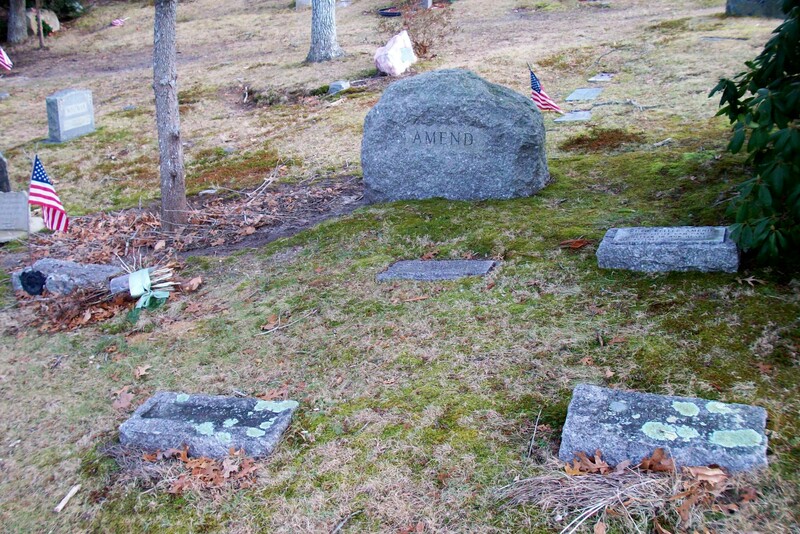 Adolph Amend, Jr.; (November 29, 1912 – December 8, 1999); Married Ruth Ellis Handy (1919 – 1987) (Robert Sylvan Handy & Mary Carleton) in Bourne Ma. 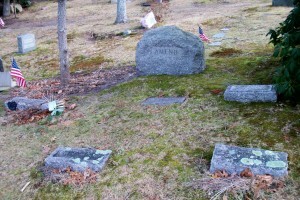 on February 21, 1942; Adolph, Jr. & Ruth are buried in Cataumet Cemetery. 2. Dorothy Amend Rollenhagen; (July 10, 1915 – January 25, 2011); Married Charles Albert Rollenhagen (1910 – 1998) (Charles Rollenhagen & Augusta (–)); Dorothy & Charles are buried in Valleau Cemetery in Ridgeway N.J..
3. 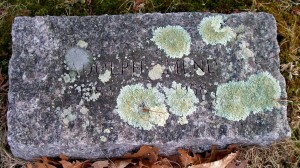 David/Poppy Howland Amend, WW ll; (August 3, 1917 – September 24, 2005); Married Ruth E. Keller (1917 – ?) in 1939; David/Poppy & Ruth are buried in Cataumet Cemetery. 4. Nancy Amend Howard Snyder; (October 9, 1920 – August 26, 2011); Married (1) Perez Briggs Howard, Jr. (1912 – 1969) (Perez Briggs Howard & Jeannette Norris) in Bourne Ma. on June 27, 1942 & married (2) William W. Snyder (1905 – 1988) (Nicholas A. Snyder & Catherine Elizabeth (Katie) Dolphin) in Greenwich Ct. on November 28, 1971; Nancy & Perez, Jr. are buried in Cataumet Cemetery.